Pentas plants (Pentas spp.) come in both annual and perennial varieties. The perennial types are only hardy in U.S. Department of Agriculture hardiness zones 10 and 11, but they can be treated as annuals in cooler climates. Pentas grows at least 2 feet tall, producing lush, green foliage and clusters of red, pink, white or lavender star-shaped flowers. 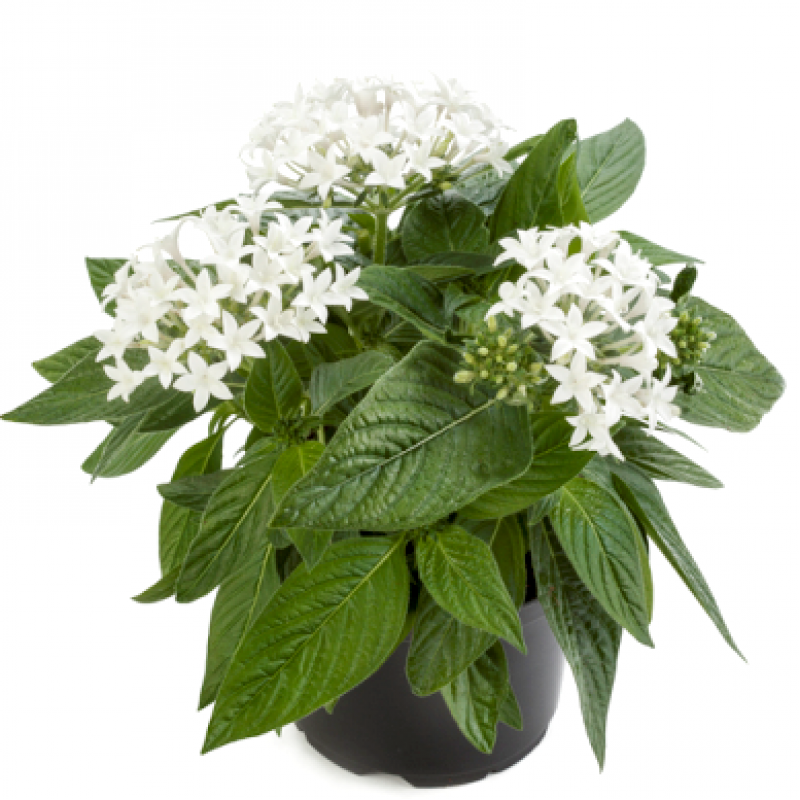 Whether grown as an annual or perennial, a pentas plant provides summer-long flowering with proper care. Plant pentas in beds that drain well and don't become waterlogged after rain or irrigation. Select a site that receives six or more hours of direct sunlight daily. Water the pentas when the top 2 to 4 inches of soil begins to dry out. Provide about 1 to 2 inches of water per plant or enough to thoroughly moisten the top 6 inches of soil. Allow the soil to dry before the next watering. Fertilize annual plants monthly during the growing season. Use a soluble balanced fertilizer blend at the package-recommended rate. Fertilize perennial plants with a slow-release balanced fertilizer in spring when new growth begins and again at midsummer, following the package rate. Spread 2 inches of mulch around the plants each spring. Mulch keeps in soil moisture and prevents weed growth. Replenish the mulch layer in fall for perennial pentas to provide some insulation for the roots against winter cold. Trim the dead and damaged stems from perennial plants in late winter, before new spring growth begins. Cut back overgrown or dead stems at any time during the growing season to improve the plant's appearance.